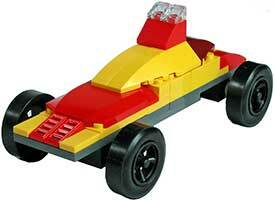 Build Your Pinewood Derby Car with LEGO. It's as easy as ABC! 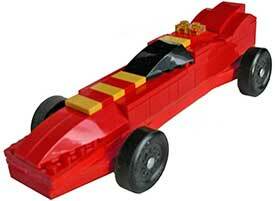 If it is too late to replace a bad wheel, move that wheel to the front of the car and raise it 1/16 inch so it doesn't touch the track. 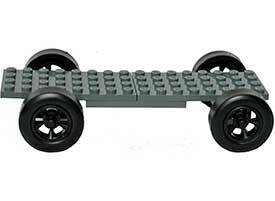 Check your rules first to make sure that raised wheels are allowed. 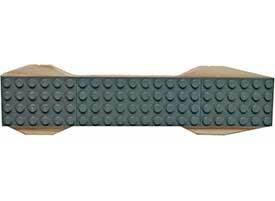 Instructions to raise a wheel can be found here. 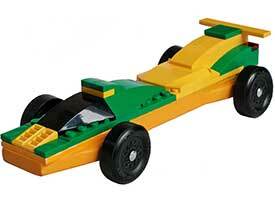 Now you can build your pinewood derby car with LEGO blocks or build a LEGO car to race on a pinewood derby track. 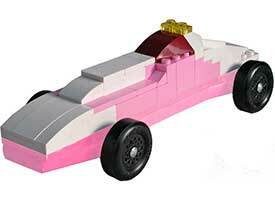 Get this official pinewood derby block then add LEGO pieces to build your car. 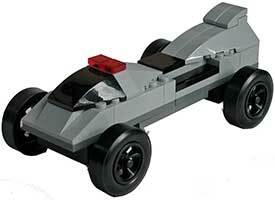 The block still has the original axle slots. 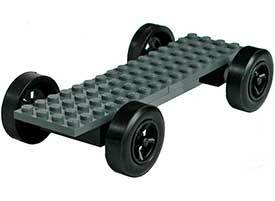 You can use the wheels and axles from the BSA kit or use our prepared and polished wheels and axles. 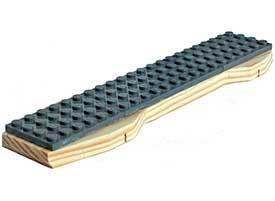 A car made from this block should be legal in most races as the original pinewood derby block is used but check your local rules. 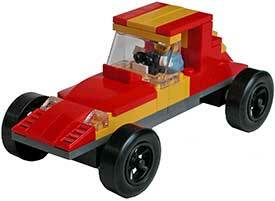 Includes frame, axles and wheels. 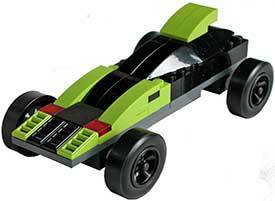 Add your own lego pieces to build a car or purchase our lego kits. 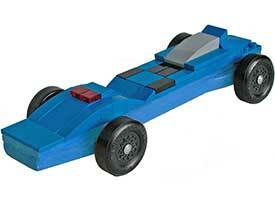 Cars made from this kit can be raced on standard pinewood derby tracks and on our tracks.